While everyone has been animatedly supporting Anna Hazare's fight against corruption, people seem to have forgotten who the people are who actually led to this situation. The peak of irony was when Anna was, allegedly, lodged in the same jail that housed the people who were responsible for two of the biggest scams in the country ever. How must the authorities have felt when they saw Raja and Kalmadi fill their plates while Anna was on a fast because of their misdeeds? Corruption has become an unavoidable part of politics and every now and then, one or the other politician re-affirms this fact. The 10 most corrupt politicians of India. 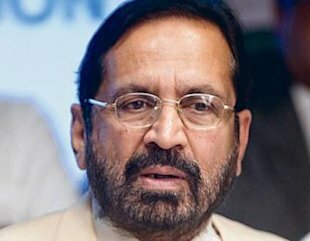 Suresh Kalmadi, almost single handedly caused a loss of hundreds of crores of rupees to the country. The Commonwealth Games, organized by Kalmadi was no less than a loot with numerous reports of the magnum opus event being soaked in corruption making headlines way before the Games had even started. Apparently, out of Rs. 70000 crores spent on the Games, only half of the amount was actually spent. Owing to his involvement in the scam, Kalmadi was charged with corruption and sent to Tihar jail. A scam worth Rs. 176,000 crore had former Union Cabinet Minister for Communications and Information Technology, Andimuthu Raja at the centre. 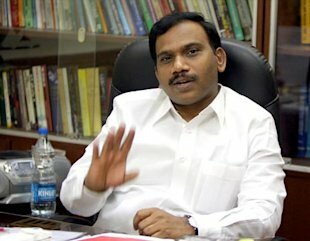 A. Raja as he is generally called, was the prime accused in the 2G spectrum scam, which was the largest that the country had seen in a long time. Following the shocking exposure, Raja was indicted and forced to resign. Presently, he is too has been lodged at the Tihar jail and is awaiting his trial. 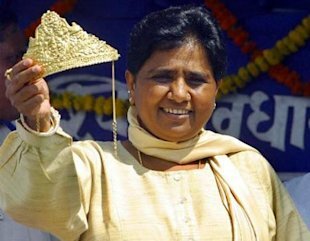 Mayawati has always been criticized for ostentatious display of power in her state. She has allegedly used her status as chief minister to amass large amounts of personal wealth. She was charged with corruption when the Taj Heritage Corridor Case was uncovered. Mayawati's birthdays have always been media events, where she usually appears decked in diamond jewellery and also accepts public donations for which, she often comes under fire. Her assets are worth millions of dollars and in the year 2007-08, she had paid an income tax of Rs. 26 crores, which placed her amongst the top 20 taxpayers of the year. 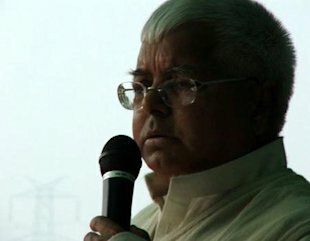 The fact that Lalu Prasad Yadav has been an accused in 63-odd cases serves for the fact that Lalu stands as one of the strongest competitor in the list. The biggest scam that rocked Lalu's political career was the fodder scam which involved the embezzlement of Rs. 950 crore approximately. The accusation of nepotism against him has come up time and again but hardly any action has been taken against him owing to his 'connections' in the government. Former Jharkand Chief Minister, and only the third independent legislator to assume the office of chief minister in India, Madhu Koda was responsible for a scam worth over Rs. 4000 crore. The man exploited the state's natural resources by licensing illegal mining leases and stashing away the wealth amassed during the undertaking. Furthermore, the Maoists received a 30% share of the booty. Koda was arrested on charges of money laundering and is still in prison following the rejection of numerous bail applications. Mulayam Singh Yadav is also known as one of the most corrupt ministers in the country despite not being directly involved in any major scams. 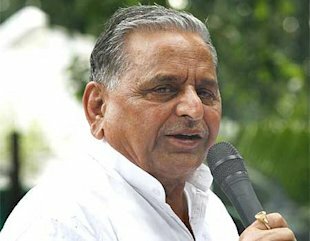 Apart from his name being involved in appointments of tainted officers and mishandling of his power as chief minister, Mulayam Singh had one major allegation levelled against him– accumulation of disproportionate assets. The case drew limelight on his sons and daughter-in-law as they too were holders of the assests that amounted to crores of rupees. The corruptions charges against M. Karunanidhi are so many that he is often referred to as the king or emperor of corruption. He was accused of lending support to the LTTE and was indicted for abetting the LTTE in the interim report which oversaw the investigation into Rajiv Gandhi's assassination. 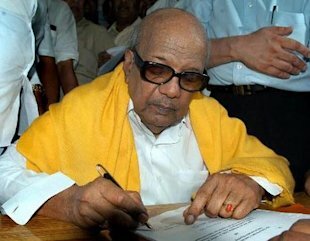 Karunanidhi reportedly institutionalized corruption in the South. He was a leading player in the cash for votes scams that are common in the southern region, as well as notorious foe extreme nepotism shown under his rule. 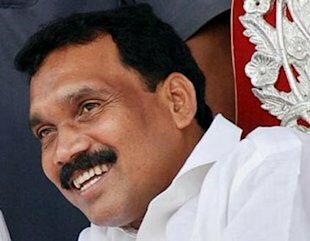 Not so surprising, is the fact that the main accused in the 2G scam, A, Raja, considers him to be his mentor. Very few people can miss the cosy relationship that Sharad Pawar shares with power and money.Every now and then, Pawar draws flak for alleged investments made by him and his family in various illegal projects. 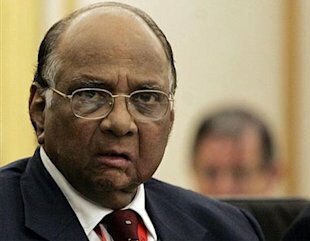 He was named by Abdul Karim Telgi, during a narcoanalysis test, stating that it was Pawar's brainchild to print fake stamp papers across the country and mint money. He was also accused in a multi-crore scam involving wheat imports and institutions headed by him and his close associates were served notices by the Bombay High Court for showing favoritism to his family. 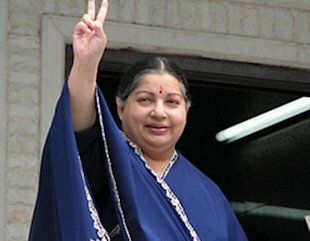 The Chief Minister of Tamil Nadu has a staggering 46 corruption cases against her. Amongst the various scams were the Rs. 70 million coal import scam, Tansi land deal case, case of disproportionate assets and colour TV case, amongst many others. A raid in her residence and business establishments led to the seizure of some 28 kg of jewellery (worth Rs 51 crore), 91 wrist-watches, 41 air-conditioners, 10,500 sarees, 750 pairs of footwears, etc. She along with her former cabinet colleagues and senior bureaucrats who worked with her are still facing investigation with regard to corruption. 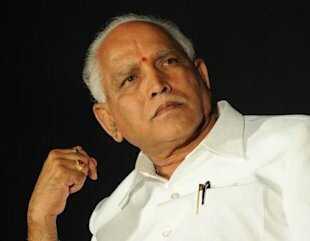 The most recent politician to be caught in the web of corruption is former Chief Minister of Karnataka, B. S. Yeddyurappa. While he has a number of corruption lying against him, the one that toppled his career was his alleged involvement in the illegal iron ore export scam in districts of Karnataka. A lot of blame game followed and ended up with Yeddyurappa losing his ministerial post last month. Despite his denial, his image as one of the most corrupt politicians of the country will not fade anytime soon.